Excellent post Publius, as always. Thank you. I am not blaming Bottas for his support of Hamilton. Who knows, it might have saved his drive next year. I am however not so much impressed with the team (German label on front door, yet mostly foreigners inside) and their fans. Next time they want to plead innocence and high sporting ethics, think twice, will you? RBR - Honda might regret their contract. We know about Mr. Horner for a few years, and it's not all sing and song. Will Vettel get fired from his job by his new management? DR as of this moment is still without his contract. Sebastian doesn't - at least publicly - mind DR as his teammate, despite having frictionless relationship with Kimi. I am not sure about Alonso. No one wants Alonso as his teammate, and reasons are numerous. I do not trust DR. He is smooth, too smooth for my liking, and the way how he is milking 2014 to his benefit I find rather repulsive on his part. RBR is ready to drop him without tears in their eyes. 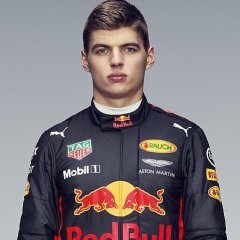 why do you think vettel will be fired by the new management? am i missing something ? There is a new man at the helm, unknown entity, and we are yet to see how he will react to public (media) pressure. We can debate whether Vettel really committed those 5 or 6 so called errors in this season, however now when it is believed that there is performance convergence between W09 and SF71H, yet results aren't there, Italian media are known to be merciless, and they will want to see a head rolling. At the extreme Ferrari is known to do unthinkable (Prost, Schumacher, and probably Alonso as well regardless all claims to the contrary), just as Williams (Hill) has done the same. Hamilton is being gifted this championship. Vettel threw away yet another easy win with his terrible performance in qualifying. Ferrari have given their drivers a megacar. Their drivers are letting them down. Shame. I hope Vettel gets fired and leaves F1 for good. He adds nothing to the sport. He's a waste of a top drive as the past 2 seasons have proven.